ruudhein had the most liked content! It's not just losing focus: it's creating one or more new notes with characters from the (new) search. I rolled back to 6.5.4.4720. Normal PDF viewer. Reasonable editor, especially compared to the forgetful focus issue. Besides the introduction of issues, for me, like forgetful focus in notes, now forgetful focus in repeated searches, the lesser quality PDF viewer, lag when switching between notes, and the addition of a New Note button I never ever have felt a need for, I don't really see what the new releases are doing. There is no roadmap to compare to either so God knows what the intended direction of these releases is. True. If that was important for me, though, I would use Filterize's "Enforce tag hierarchy" option to make sure everything is also tagged with the parent tag(s). The thing for me is this; I'm not advocating tags vs notebooks or vice versa -- I'm looking how I can make things work within what Evernote is and does. Exactly. I have recipes with under it things like recipes.bread, recipes.pizza etc. You can name, setup, and nest your tags any way you like. Here's a part of my "notebook" tag tree. If you like or prefer thinking in the notebook terminology, just name them like that or think of them like that. It can work really well. As to your question: no, all signs over the past 10 years point to Evernote not expanding on anything notebook-related: not their number, not more levels, etc. In Outlook 2016, when opening a PST file, clipping those emails will use the default email address from which you sent in Outlook and only that address. However, if you import the file, clips will shows as "Original Person <original email address> (you default email address)"
Could be a workaround but we're talking hundreds of emails; the clipper right away sets the created date to the date of the email. Forwarded email doesn't do that. If I can't find another solution might go for this and use Filterize to set the date created from the date in the email. [update: apparently I already had set a filter in Filterize, hence my clipped email was set to the right creation date] If this is just how clipper behaves, another one I'm thinking about is to setup a dummy pop3 email server on my computer so I can setup those email addresses in Outlook. Then sort by "sent from" and set the email address in question as default. You recently mentioned this setup, if I'm right. Is that a locally running script? Didn't you mention an email service too? @Dave-in-Decatur how do you decide when to upgrade? Do you test new versions sometimes or just based on feedback? This limit, and the ones DTlow pointed out, aren't artificially imposed limits based on one's account level: they're underlying limits based on how the system is technologically built and work to scale. Their business tier seems to be built a different way and has higher upper limits. Maybe down the road, if enough people hit those limits enough times, there is a good cause of Evernote to change the whole underlying structure. Who knows, who can tell. For now it seems most of their users when hit with the 250 notebook limit switch to using tags as notebooks; a change in "name" more than in anything else (well, that plus the fact that tags are embedded with your note when you export them to an ENEX export file, whereas notebook information isn't). And I'm not really aware of someone running into the 100,000 total notes limit. If ever you would run into finding these limits imposing, you can either change setup (notebooks → tags, merge a number of notes or prune them) or scale up to Evernote Business. Not sure how it works on Mac, but on Windows an Evernote export will not tag those files; the tags are just text in the HTML files. The attachments are stored in folders with the corresponding names of the HTML file. So if you export 10,000 notes with attachments, you have 10,000 HTML files, sorted alphabetically, with 10,000 folders. For the people who come after me, that's not really helpful. Hence my double-saving @gazumped I have "convert to searchable PDF" enabled (ScanSnap 1300) and it seems fast and sort of between adequate and accurate. What's the filesize of the combined note? I try to keep my notes small. Partially because the larger the database, the slower things seem to become (with locally installed software), and partially because I have noticed before that when you downgrade your account, large notes can be an issue syncing. Ah! Saw your update. Very nice setup. Also, instead of having 120 HTML files + 120 folders with 120 files, you have one HTML file + folder + attachment. Very interesting! As I wrote, long ago, in Sharing Digital Memories: The file system is the best place for file storage. It scales infinitely. Most anyone knows how to access it and barring disk corruption, file extraction is a breeze. 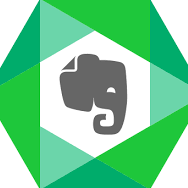 You and I, we live in Evernote and are intimately familiar with it. The ones after us? Our wives, husbands, (grand)children; maybe not so much. I have a premium Dropbox account of 1 TB. That is mirrored on my external hard disk. I can make a 1-on-1 copy of that hard disk simply by copying the folder; something the ones after me can do too. Access to that drive is guaranteed, even while I may have forgotten to update my Evernote password entry in my End Of Life document. Leaving instructions on how to keep that data alive (how to back it up regularly) is trivial compared to Evernote. This is also why I name files the way I do, following the philosophy of Scott Dart, the then manager of what was called Windows Live: The Truth Is In The File: By naming a file yyyy-mm--dd [type] [from] [to] any changes on the filesystem, such as created date, are irrelevant because the filename itself still carries the information. Now, doesn't a simple Evernote export achieve the same thing? Yes and no. Yes, it writes to the file system. No, it's no longer logically arranged in such a way people can simply browse a well laid out folder tree. Tried it again and having the same pleasant results as you, @gazumped -- a keeper. @idoc when I scan to Evernote I rename the file inside Evernote (so an export later on will have sensible file names) and then save that same file in my "PAPERS" folder in Dropbox. As my naming practice is yyyy-mm-dd [type] [from] [to] a program like Dropit can do the organizing for me. Other example: I like to collect wallpaper/photos. Here too I follow a naming pattern. Use a program like Dropit and it can go immediately to the right folder.